Everything you need to know about Instagram's hottest feature and how it can be used as part of a social media strategy. What are benefits for brands? You just cannot imagine the marketing for your company anymore without thinking of social media. Especially, since Instagram has become increasingly more popular for most brands. The social media network offers a ton of options to promote your brand, from regular posts to Instagram Live, Instagram Stories and IGTV. Instagram has changed from a platform that was mainly used for personal content to a platform that’s also being used a lot by companies who want to spread awareness of their brand to more people. Instagram Stories was first seen as the copycat of Snapchat Stories, where you can broadcast multiple videos and images that you take during your day. 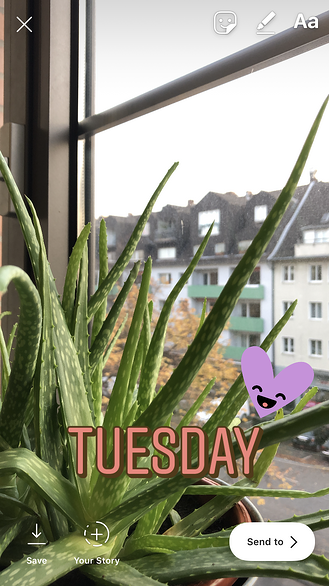 You can add stickers, filters, drawings and text to your ‘snaps’, which you put on your story and will automatically disappear after 24 hours. Instagram took this idea and made it their own. With the network already being one of the most popular photo-sharing apps, this addition was guaranteed to have a positive outcome. The Instagram Stories feature is almost the same as Snapchat Stories. You can share multiple videos and images. You can add stickers, filters, drawings and text to them. The stories you’ve created will appear on top of your followers feed. And, of course, your stories will disappear after 24 hours. Creating an Instagram Story is fairly easy. You can tap the tiny circle top left that has your profile picture in it. It shows a plus sign, meaning that this is a place where you can add something to your story (or go live). Alternatively, you can also just swipe right on your screen to open the camera function and go from there. Creating an image or video works in exactly the same way as you’re used to, so we won’t be going into too much detail with this. But do make sure that you use the stickers and all other options Instagram gives you, and put them onto your stories, as people tend to enjoy those stories more than just plain images or videos. Keep testing and measuring the results to the end, using a social media analytics tool to learn what worked best, specifically for your audience. 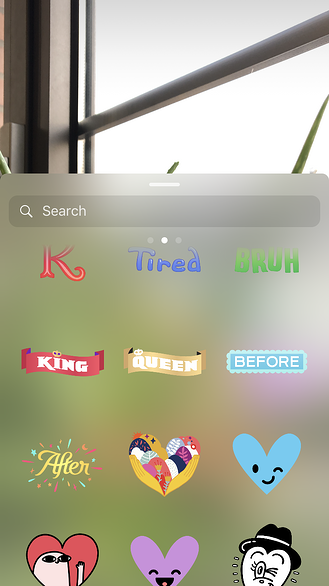 You can add all sorts of stickers to your stories. Besides being fun additions, some of the stickers have an extra function, which could increase the reach of your stories. These are the most popular stickers used on Instagram at the moment. This is the most popular sticker on Instagram because besides letting your audience know where you are at the moment, it can also expose your story to a larger audience. The best stories for each location are piled into a separate location Story. These stories can be found by searching for said location. These are both just simple stickers that somehow are very popular among the Instagram Stories users. The digital time sticker is fun, showing what time it was when you created the story, while the ‘Like’ sticker is the famous little thumb on Facebook, that people love to add to a story that involves something they like. If you want to post a hashtag on your story, the easiest way to do it is by using the hashtag sticker, but you can also create a hashtag on your story by adding a hashtag in the text function. You can style the hashtag however you like and put them anywhere on your story just like all other stickers. By adding a hashtag, you can reach thousands of Instagrammers in your region, industry or the world. If people search for your hashtag, a story containing all stories with that hashtag will appear at the top of the page. Your story will also be there and that’s how you can reach new people who may be interested in your brand as they were looking for the specific hashtag you used. Polls are perfect for receiving more engagement from your audience. The standard poll displays “yes” and “no” as responses to the customizable question, but you can change the responses to whatever fits to your question. You can also include Emoji in your polls to make them even more attractive. Extra! As well as the original poll, Instagram also offers 2 fun adaptations. They’re called the Emoji sticker and the Questions sticker. These may also get great engagement out of your audience and are always worth a try. The ring around your profile picture will become colorful once you’ve posted something on your story. This will let your audience know that you have new content for them to enjoy and they’ll be tempted to view it. The colorful ring will be around your profile picture for the whole time that your story is live (24 hours), but if a person has already watched your full story they will no longer see the ring, unless you upload new content to your story. If people want to view your story, they only have to tap your profile picture (with the colorful ring) on top of their feed or anywhere else they find your profile picture. 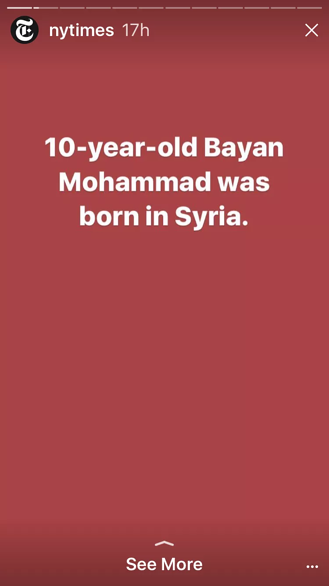 This will immediately open your story and start it playing. By tapping the screen, the viewers can click through your story. If one profile’s story is over, the story of the next profile will automatically start. That’s also how people can start viewing your story without intentionally tapping your profile picture. If you really like what you posted on your story, you can also share the content on your profile. Just simply tap the upload button and the content will easily be uploaded to your profile. Another option is to download your story, simply by pressing the download button. After downloading, you can decide to post it on your profile whenever you like. Instagram also allows you to add links to your stories. But unfortunately this feature is only available for verified accounts or for business profiles with over 10,000 followers. You can simply add the link by tapping the chain symbol, which will guide you to a new window where you can put in whatever URL you want. Just remember to click ‘done’ and you’ll be guided back to your story. 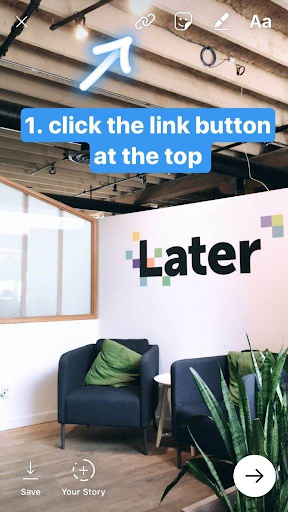 These links in Instagram are actually ‘Swipe up links’, meaning your audience can swipe up on your story to easily access the URL you’ve added. They will see a small arrow with the words ‘See more’ at the bottom, which tells them that there’s a link they can visit. Just the words ‘See More’ may not always be intriguing enough to guide your audience to the URL. That’s why you should add a CTA (call to action) to your story. If you’ve created a video, it’s always helpful to vocally tell your audience to click the link. And for either an image or video, you can put text on the screen telling your audience to ‘Swipe up to see more!’ ‘Swipe up to shop!’ or ‘Swipe up for more!’. Doodling on the screen and aiming the attention towards the link by adding, for example, arrows pointing towards to link or a heart around the links is also an effective way to get your audience to click the link. Tip! A fun and useful extra is that you can also upload existing content from your camera roll to your story. But keep in mind that this content has to be no older than 24 hours, otherwise it will show up in a weird format and Instagram will automatically add the date that it was created on. A trick to avoid this is by taking a screenshot of the content you’d like to post, so that it will show up on top of your camera roll again. What are the benefits of Instagram Stories for brands? Instagram stories could be your ticket to boosting your brand awareness, gaining more followers, and improving your sales. It is still an increasingly interesting aspect to get creative with, putting you in a position where you can get ahead of your competition. But in order to do so, always have a close look on what works and what doesn’t. There are over 400 million daily users for Instagram Stories. A third of the most viewed Instagram Stories are created by businesses which, even though it’s not a niche market, means that the brands reach their audience very well through their Instagram Stories. One in five stories gets a direct message from its viewers. An average of 20% of Instagram Stories viewers swipe up to follow a link and engage directly with a brand’s website. Instagram excels in engagement. A total of 68% of Instagram users engage regularly with brands on Instagram, while only 32% of users engages with brands regularly on Facebook. Stories can be created very quickly at a low cost. The expectations for Instagram Stories are lower than for the Instagram posts on your feed. When creating an Instagram post, you have to make sure that everything looks good (lighting, the people or products shown in the post, the text). But what really matters for Instagram Stories is that you create content that is fun and interesting. The whole concept of creating content for your audience to see becomes a lot less formal and much more personal. Instagram Stories for brands? What exactly for? Instagram Stories is the perfect tool to show your audience a different and more personal side of your company. There are multiple ways to create great stories that can help you grow your engagement on the platform. These stories can help you to reach new people and show them a new angle of your brand. It can also help you to bind more with your customers and give them additional information about the brand. Advertising on Instagram Stories is the best way to reach new audiences and to showcase your brand, business and products to an audience that’s already engaged. So, if you’re normal Instagram Stories are working out well, why not try putting some ads in there? Videos hold your viewers’ attention 5 times longer than images, so naturally videos are the way to go. They will help to keep your audience focused on your stories for the full 15 seconds. Your videos have to capture your viewers’ eye within the very first seconds or else they might click away very soon, without you having been able to get your message across. Also, the message that you’re telling them should be as short as possible. If you can tell your story within 1 sentence, don’t make it longer than needed. Include the logo of your brand in a story’s ad. Your followers are not the only ones viewing your Instagram story, your target audience, which you would have selected when setting up your ad, might also be watching. These people may have never heard or seen your brand before, that’s why it’s important to add your logo to make it recognizable for the viewers. When creating these stories, you have to stay true to you brand’s overall appearance. The aesthetic that you implement on your Instagram page should be continued in your stories. This will help people stay engaged with your brand and create brand recognition. Many brands host takeovers on their Instagram Stories. A ‘takeover’ is where a person, often an influencer, takes over the brand’s Instagram Stories for the whole day. The goal of these takeovers is to give the viewers a look inside your company or products to gain a refreshing perspective. 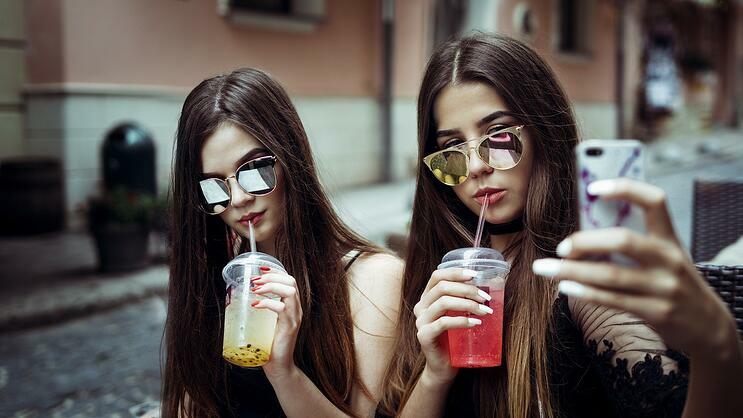 The idea is closely connected to influencer marketing, which is a type of marketing where brands and influencers work together in a campaign to expand the reach of said campaign. There are a few options that work very well for these Instagram Stories takeovers. Your followers will get to take a look in your host’s daily life. Keep in mind that you should pick an influencer that fits in your brand. A Q&A is not only fun, but a great way to engage with your audience. It can also help to educate your audience more about your brand. You can collect the questions for your Q&A beforehand by asking your audience to send them in via a response to a story or comment on a post. An audience is more likely to turn into fans when they feel like they really know your company. By giving your audience a look into what your company and your employees are like, you’ll have the opportunity to create greater trust with your audience. Just like the ‘behind the scenes’ option, people like to see what the brand does and who is behind it. By capturing an event, you effectively bring your audience along to them, giving your audience a chance to enjoy your experiences from home and get to know your brand even better. The influencers often tease the takeover on their own profile, which helps to take their traffic over to your profile. As a company, you should definitely tease the takeover as well. The best place would be on Instagram Stories as your audience will then know where the takeover is going to be hosted, but you can spread the news on all your networks however you like. How do you analyze your Instagram Stories? Because Instagram Stories disappear after 24 hours, it is very difficult to get good (historic) data analysis from them. Instagram does provide you with some basic analytics about your stories, but it’s not very much. 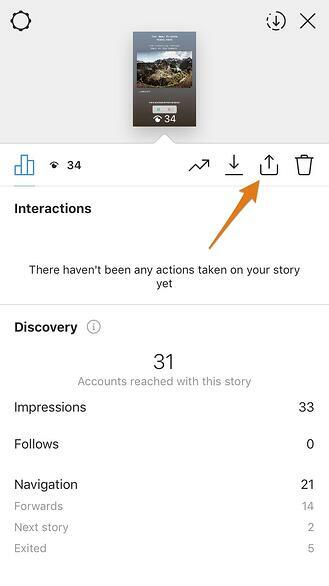 By swiping up on your own story, you can access the data which shows you how many times each of your stories were viewed and by whom. This will, unfortunately, not tell you very much about how your performance develops over time, and the data will also disappear after 24 hours. Recently, quintly came up with the solution to a problem that many brands stumble upon.The company has implemented a solution to preserve and measure the historical data on Instagram Stories with high accuracy. You’ll need to have your Instagram business profile(s) authenticated for Insights access, in order for quintly to be able to analyze your Instagram Stories. Every 30 minutes, quintly’s system will draw the data from your active stories and save them in the database. That means that, even after your story is no longer live, the data will still be saved with at least near-final performance numbers. While your stories are running, and after they expire, you can access various important data points. The data you’re then able to analyze and track are: Reach, Impressions, Exits, Replies, Taps Forward, Taps Backward and more. If you’re not using quintly yet, you can request a demo from them to learn more about the features and to receive a free trial version of the tool.